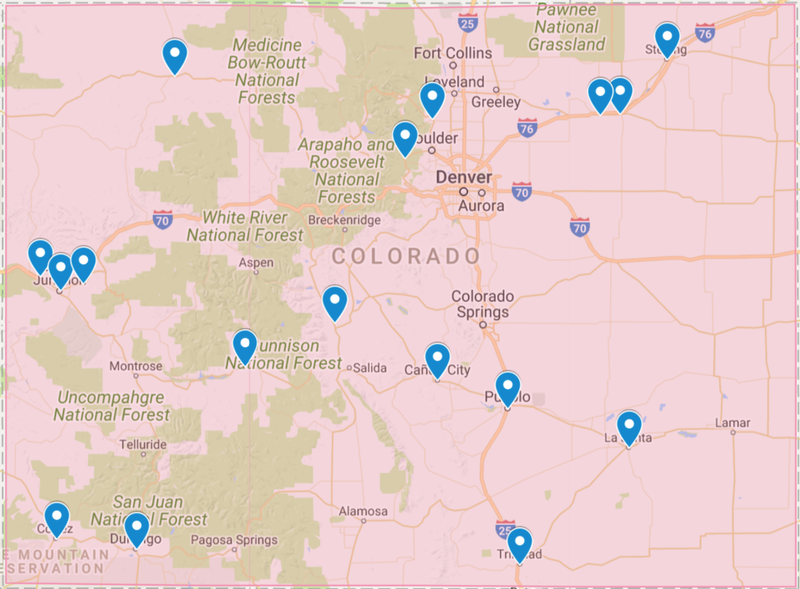 Shout it from the top of the Rockies: Lyft is now live in all of Colorado! Our services have been available in Denver and the surrounding areas since 2014, but we’re thrilled to be able to offer rides to Colorado residents throughout the state. Now, you can use Lyft to get to or from all of Colorado’s signature events! Whether you’re headed to Nederland for Frozen Dead Guy Days, to Pueblo to tantalize your taste buds at Chile & Frijoles Festival, or to sample some fine beverages at the Colorado Mountain Winefest in Palisade, we’ve got you covered. We now offer coverage in: Buena Vista, Brush, Canon City, Cortez, Craig, Durango, Fort Morgan, Fruita, Grand Junction, Gunnison, La Junta, Lyons, Nederland, Palisade, Pueblo, Sterling, Trinidad, and many more locations! 1. Download the App. Sign up and add a payment method. 2. Request and Ride Happy. A nearby driver will take care of the rest. 3. Pay Instantly. When the ride ends, autopay through the app — with or without an optional tip. As a driver: Looking to make some extra cash on your own schedule as a Lyft driver? 1. Apply to drive with Lyft. 2. Upload your documents. Take photos of each of these documents and upload them in the Dashboard: Vehicle inspection form, driver’s license, personal vehicle insurance, driver photo, Colorado TNC medical exam, and Colorado vehicle registration. 3. Become approved. Lyft will notify you when you've been approved as a driver. Until then, you can check your application status for updates. For more details, please visit the Colorado Driver Application Requirements page.